Anyone who has heard or read anything about the new Avengers movie will have come across comments about which characters can or can not be in the movie because of licensing agreements with other studios. For example Spider-Man is licensed to Columbia/Sony. With expiring deals, lawsuits and mergers there will come a time more characters become available. This has got me thinking about how much the Marvel universes should overlap. There have probably been more Marvel based movies than you think in recent years. 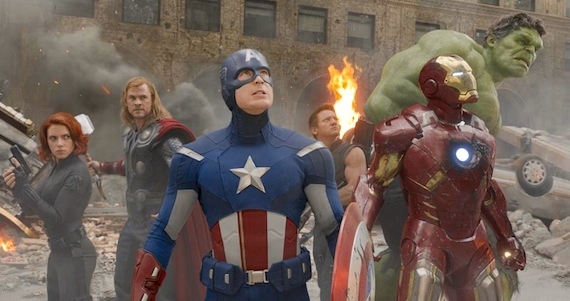 So far, Iron Man, The Hulk, Captain America and Thor have all had there own movies and have all featured together in The Avengers alongside Clint Barton/Hawkeye, Natasha Romanoff/Black Widow and Nick Fury who haven’t had their own movie but have made previous appearances in other movies. Matt Murdock/Daredevil and Elektra have appeared together as well as an ill advised (in other words crap) Elektra spin-off. There have been four X-Men movies and a Wolverine origin story. Spider-Man, Fantastic Four, Blade, Frank Castle/The Punisher, and Ghost Rider have all appeared in their own movie(s). The world in which Tony Stark/Iron Man exists appears to be just like our own, other than the advanced technology, mostly in vented by Stark. A similar thing could be said of Bruce Banner, he and those around him (usually trying to capture him) are the only things out of the ordinary. Thor on the other hand is pure fantasy, introducing Asgard and the nine realms. Thor’s power is mystical and he is prevented from wielded it by an enchantment. But even this has a real world setting. As with Masters of the Universe (1987) the action takes place on earth, an earth who has no knowledge of other words. 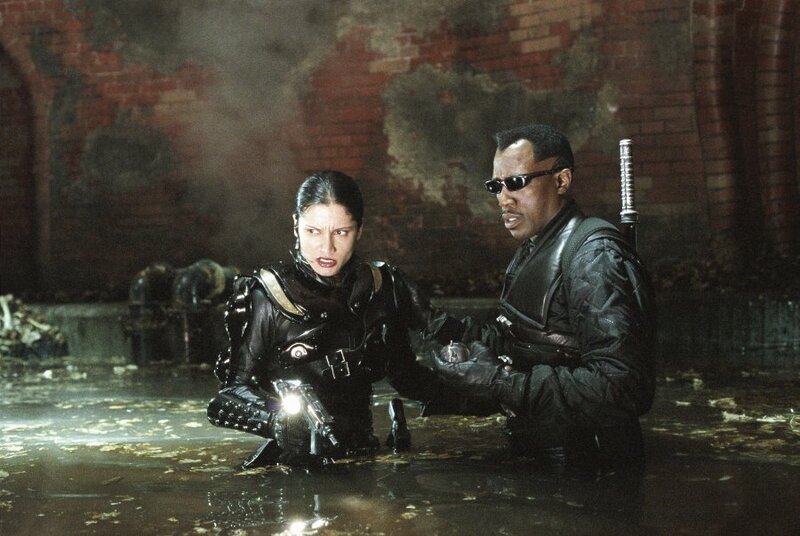 Similar is true of Blade, although the world is full of vampires, most people are blissfully unaware of them. Fantastic Four could have been an interesting movie, as we see ordinary people becoming supper heroes. 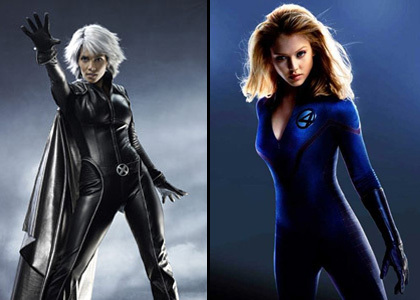 That only leaves X-Men, that develops across the movies where people become aware of mutants. Of the movies mentioned above, characters who have appeared in them who have been members (in comic books) of The Avengers in one form or another include: War Machine (from Iron Man 2), Spider Man, Wolverine, Storm, Venom (Spider Man 3 played by the brilliant Topher Grace), Victor Creed/Sabretooth and Daredevil. As well as Fantastic 4 members: Benjamin Jacob Grimm/Thing and Susan Richards (née Storm)/Invisible Woman, (I am led to believe the Avengers has included a Human Torch but this character was a different Human Torch and not Johnny Storm). Red Hulk (has not appeared in any of the movies to date but his alter ego General Thaddeus “Thunderbolt” Ross aka Betty Ross’ father appeared in Hulk (2003) and The Incredible Hulk (2008) played by Sam Elliott and William Hurt respectively). So this is how I see it: Blade doesn’t fit into The Avengers universe and vice versa, the same goes for Ghost Rider. As a regular human, Frank Castle/The Punisher could work in the Avengers universe but does the team need another angry loaner who doesn’t play well with others? Then you have the issue of who to play him. The two hulk movies and The Avengers have seen three different actors (Eric Bana, Edward Norton, Mark Ruffalo) as Bruce Banner, each has got progressively better. The opposite true of The Punisher, with Dolph Lundgren, Thomas Jane and Ray Stevenson they have got progressively worse. Although Wolverine, Sabretooth and Storm have all been Avengers in the comic books, a world where mutants like the X-Men exist doesn’t really need The Avengers. The Fantastic Four could exist alongside The Avengers and as mentioned above, at least two of them have been members in the comic books, the problem? I have never read any Fantastic 4 comic books but have seen the two film versions, there are too lightweight, and not good enough to fit into The Avengers. That leaves two credible characters who could be future members: Daredevil and Spider-Man who is going through his own soon to be released reboot. Under the right circumstances either could work. To add to the potential confusion there are a few actor crossovers: Jon Favreau (the director of the Iron Man movies) plays Tony Stark’s friend/chauffeur/bodyguard Happy Hogan in the iron man movies as well as Franklin “Foggy” Nelson, Matt Murdock’s friend and legal partner. 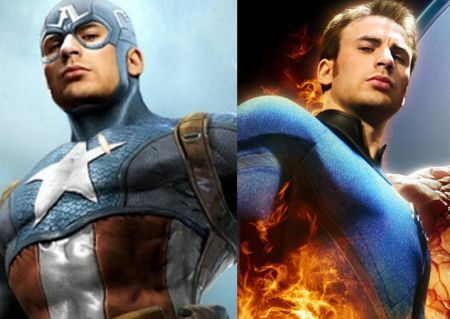 Chris Evans plays Johnny Storm / Human Torch in Fantastic Four and Steve Rogers / Captain America. Realistically given the team dynamic a second Avengers movie probably couldn’t accept more than one or two extra members. Given who we have so far, the a second female member wouldn’t be a bad idea. This means dipping into an untapped character, the online version of Empire magazine ran a piece recently suggesting this. The characters and casting they suggested are: Wasp/Janet van Dyne (Stana Katic), Ms. Marvel/Carol Danvers (Yvonne Strahovski), Scarlet Witch/Wanda Maxim off (Marion Cotillard), Firestar/Angelica “Angel” Jones (Jessica Chastain), Mockingbird/Barbara “Bobbi” Morse (Greta Gerwig), Moondragon/Heather Douglas (Noomi Rapace), Tigra/Greer Grant Nelson (Michelle Rodriguez), She-Hulk/Jennifer Walters (Gina Carano), Squirrel Girl/Doreen Green (Ellen Page). 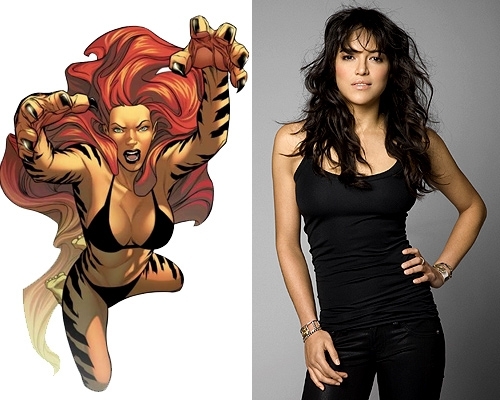 I posted a similar thing just over two years ago, I also suggested Michelle Rodriguez as Tigra/Greer Grant as well as She-Hulk/Jennifer Susan Walters and Huntress/Mockingbird Barbara “Bobbi” Morse (not the same casting though, I do love the idea of Gina Carano as She-Hulk). In summary there is crossover potential, even beyond my suggestions providing they keep the X Men and Avengers universes apart. Having said all that, it’s a nice problem to have like a coach with more players than spaces on his team. 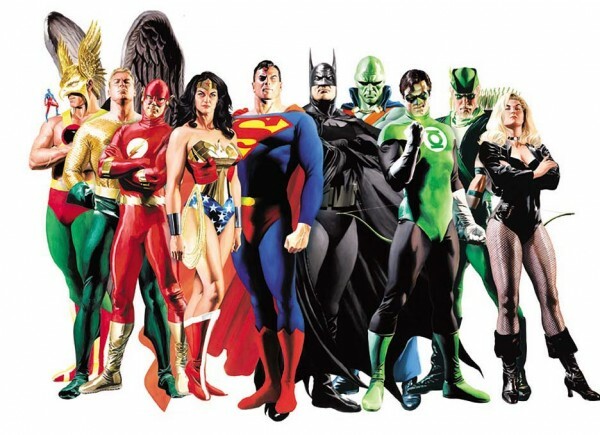 Look at DC, Given the disastrous attempts to bring their super heroes (other than Batman) to the screen in recent years they certainly don’t have the same problem. And if they did can you see Superman in Christopher Nolan Bat-universe?